Raymond L. Robinson – Robinson Law P.A. In March of 1977 Mr. Robinson graduated from the University of Florida with a B.S. Degree in Electrical Engineering and he later received his Engineering in Training Certificate from the Board of Professional Engineers of the State of Ohio. Shortly thereafter, in 1981, Mr. Robinson received his J.D. from the University Of Miami School Of Law and has been practicing law in the South Florida area for the past 36 years. Mr. Robinson is admitted to practice in the General and Trial Bars before the U.S. District Court for the Southern District of Florida, the U.S. Bankruptcy Court, the U.S. Court of Appeals for the 11th Circuit and the U.S. Supreme Court. Mr. Robinson is Board Certified in Construction Law and he practices in the areas of real estate, construction law, and business law. His areas of expertise includes construction loan documentation, negotiating and drafting of construction and design contracts, design/build agreements, work-out/completion agreements, all construction related litigation matters, arbitration of construction disputes, design and construction defects, delay claims and bid protest proceedings and 558 Construction defect claims, surety bond claims and defenses, CGL and Builder’s Risk Claims. He has extensive experience in drafting, negotiating and dissolving many types of agreements including Shareholder Agreements, Operating Agreements, Partnership Agreements, etc. Additionally Mr. Robinson has handled Landlord/tenant, condominium HOA, collections, and other business related matters for the past 36 years. Mr. Robinson is a member of the Real Property, Probate and Trust Law Section of The Florida Bar, the Construction Law and Commercial Litigation, Corporate Banking and Business Law Sections of the American Bar Association, Construction Association of South Florida, the Construction Executives Association and Associated Builders and Contractors. 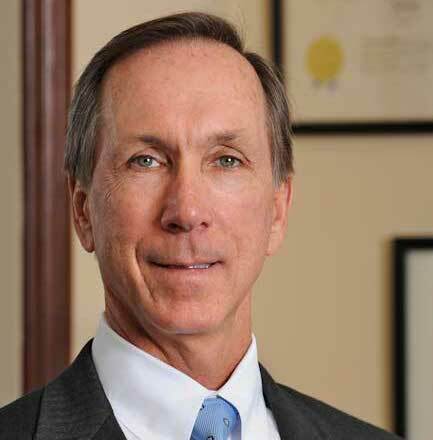 Mr. Robinson is proud to be included in Florida Super Lawyers as a Top Attorney in Florida again this year! Mr. Robinson is the presenter of a four hour Seminar on Florida Lien Law, Bond Claims and related issues for several companies and lectures before numerous construction organizations including the University Of Florida School Of Building Construction. Regular Contributor of legal articles to the Construction Executives Association Monthly Newsletter and Florida Construction Connection Newsletter.